Welcome to American Precision 3D! 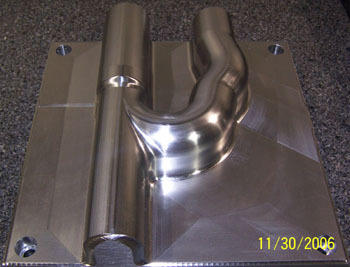 American Precision 3D, LLC designs and builds 3D precision CNC machined tools. The engineers and tool makers at American Precision 3D use the industry's leading machining software, combined with more than 34 years of experience, and state of the art CNC machining centers to produce world class machine tools. State of the art machining software produces smooth surface finishes and precise contours virtually eliminating the need for secondary polishing operations. State of the art CNC machining centers efficiently produce precision tools to exact specifications, effectively producing world class tools at competitive prices. 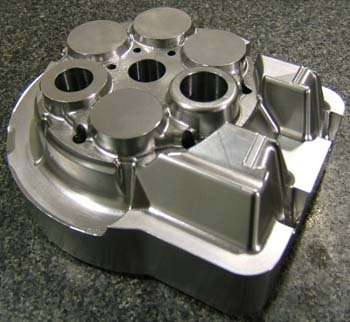 State of the art engineering generates exceptional solutions to tooling needs both new and old. Consulting with the experienced engineers at American Precision 3D can help you find cost effective solutions for your tooling projects. We've included in this website some information about us, our equipment, and the products and services we provide. We hope that you find this information helpful in making your decision to source your next machine tooling job with American Precision 3D, LLC. Please contact us for more information or a formal quotation request. "If you've got shape, we can cut it!"